The path of love has never been easy and the people who walk on this path only know how much it takes to keep the excitement going in the relationship. 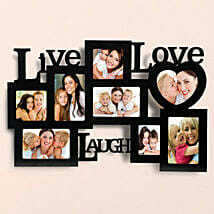 Photo Frames Online for Valentine’s Day will be the best way to impress your lover and also to make her feel special. You can show how important that person is to you and how much you value that person in your life with this personalized gifts exclusively designed for her. These personalized gifts are great way to express how much you care. Our website will give you numerous images of frames with pre loaded photos, you need to select the frame and select the option to change the image. Upload your image or select from our library of millions of graphics, photographs and illustrations. You can also opt to change the background of the image you have uploaded. Add a personal message on to the text boxes to add extra flair. Once the frame is prepared, send Photo Frames for Valentine’s Day. 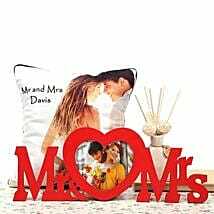 You can order Photo Frames for Valentine’s Day and get it delivered to the receiver with one of our many delivery process exclusively designed for your express needs like free shipping, same day delivery, midnight delivery and delivery in few hours. You can also choose to share it through social networking sites. What ultimately matters is the gesture. 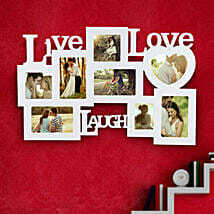 Browse our gift for valentine section to check out the myriad gifts that we have to offer for your loved ones.